Just after 11 am, on Wednesday, April 8, 2009 members of the Eastern Shore Chapter of The Unalienable Rights Foundation's forensic data teams under the supervision of Chapter's Chair, and the Chapter's Forensic Team Chair visited several Accomack county government offices to inspect public records under the promulgations set out in Virginia Code Sec. 2.2-3704.A. The teams were denied their right to inspect public records in the County Administrator's office, the county attorney's office, the Commonwealth Attorney's office and the EASTERN SHORE SOIL & WATER CONSERVATION DISTRICT office. These offices refused to permit the teams to examine the Legal Opinions requested and received by Accomack County local and state government officials, from the Attorney General, the Commonwealth Attorney and the County Attorney. Virginia law says records are public records. Subsequent to this denial by County Administrator Steven B. Miner, Toni Trepanier, Chapter Chair, delivered to Miner, a letter recapping the events of the day, and a copy of the intended application for a writ of mandamus that is to be filed if the right to inspect Public Records is further denied. The date of April 16, 2009 was set for another attempt to inspect the Public Records and the filing of the application should Miner continue to refuse the public records to be inspected following a telephone call from Miner to the Chair. Mr. Miner telephoned Trepanier, to inform the Chair that his office will allow inspection of the Public Records on the that date. A suit is not in the best interest of the County or the Foundation says Trepanier. Sources have told UARF that both parties have expressed their hope that the suit will not be necessary. The same source says that Trepanier said, "We will know soon if we have to file the suit. It depends on if the Accomack County Administrator will makes the records available for inspection on the 16th, I’m optimistic that he will, but we’ll just have to deal with it as it unfolds." Trepanier says when the team appeared at the County Administrator's office Miner stated he had five days to respond to any request to inspect Public Records. This is in contradiction to County Attorney Taylor stated position. Previously Taylor wrote the Foundation saying that Public Records are open for inspection at any time during regular business hours by anyone wishing to inspect them per Virginia law. It appears that Taylor forgot to pass along this information to his boss, Mr. Miner. The County Clerk, who in this instance is Mr. Miner the County Administrator, is responsible for the Public Records. Virginia law says these records are supposed to be open to the public for inspection at anytime during regular business hours. 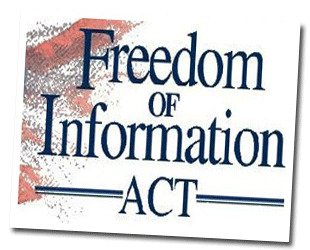 At the very least, a citizen should be able to view an index of Public Records [the index is also required by Virginia law] immediately upon request. Apparently they don’t have an index available at least they didn’t attempt to produce one on Wednesday, April 8, 2009. Note: Previously the statement "We will know soon if we have to file the suit.” had been erroneously attributed to former UARF staffer Anthony L. Castellano. We learned of this in an email we received this afternoon [04/25/09]from Castellano. 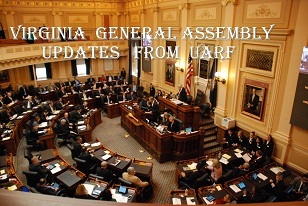 The email also contained his notice that he was tendering his resignation as Vice Chairman of the Eastern Shore Chapter of Unalienable Rights Foundation and disassociating himself from any and all responsibility to UARF. We wish him well on his venture through life. Sorry, Comments are not available for this article. All logos and trademarks in this site are property of their respective owner. The comments are property of their posters, all the rest © MM - MMXIII by the UnAlienable Rights Foundatation.